Ecuadorian artisans use sustainably harvested seeds to create these earrings. 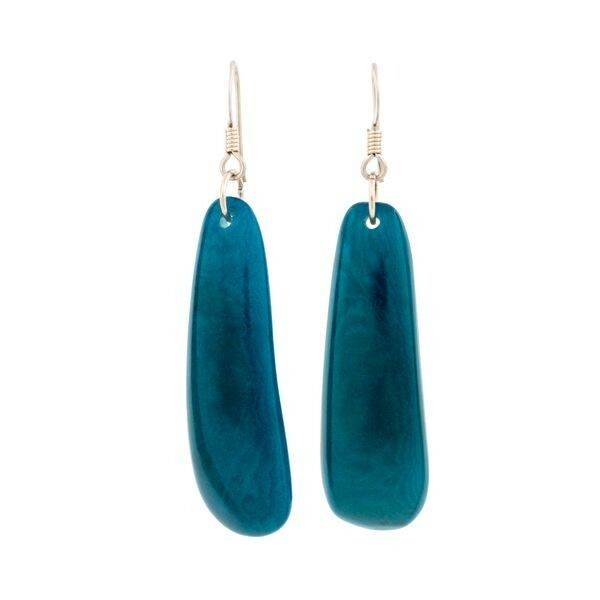 These elegant, yet very simple earrings are made of highly polished tagua seeds. These seeds, also known as vegetable ivory, grow on specific palm trees found abundantly in the rainforests of Colombia and Ecuador. When dried the seed has a texture and hardness similar to ivory and can be carved, dyed and polished to create beautiful jewelry, like these earrings.